Being eco-friendly doesn’t have to be hard for a business owner. 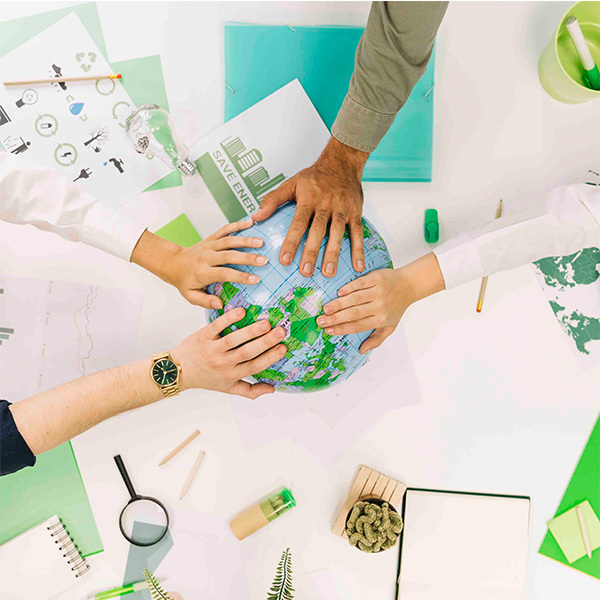 Sustainability is vital for us companies to move forward in the future. Because of fossil fuel depletion, carbon dioxide emissions and the increasing costs of energy and water, business owners are making smarter decisions to be eco-friendly. Want to get started with your company? Here are four hacks to create a green business. Third, make smart choices about how you travel for your business. Search USGBC for LEED Certified hotels that use renewable energy. Leave a light carbon footprint by not getting your hotel bed sheets changed daily, taking short showers, and turning off lights. During downtime, apps like GreenConcierge have eco-friendly tours of London and Paris for seeing the sites, going shopping, and dining out. Finally, this is one of our favorite hacks to create a green business. Communicating with teams online allows companies to work across the globe without having to meet face-to-face. Use email as much as possible instead of printed letters. Use a video call system like Skype for meetings instead of traveling. Want to create an entirely online team? The support services at IdeasUnlimited offer 24/7 call center support, multilingual support, backend support, operational support, and more! These four recommendations are just the tip of the iceberg when it comes to hacks to create a green business. Which ones are YOUR favorites? Comment below with your suggestions!